This month's Loot Crate theme was Power, celebrating all things powerful, ok, so not all things, but things, enough things to be a group of things that make up a crate that could pack a pretty punch. Lets have a looksie. 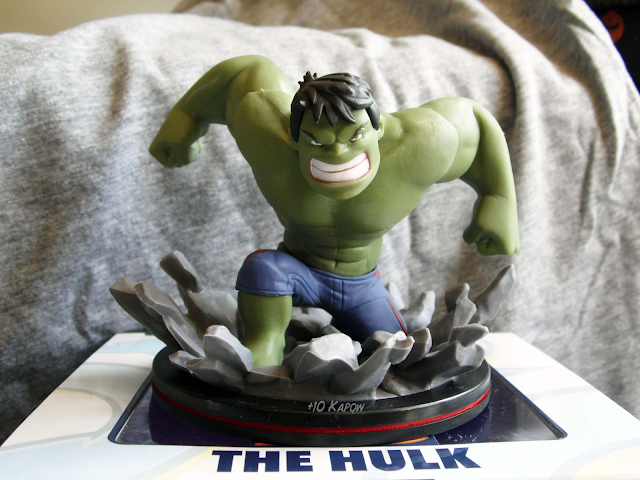 ...our figure has several large glue spots on his back and trousers and they are solid so it would be a pain to get it off. Luckily you can't see them from the front and he is up fairly high so I should be able to cope with it on there. 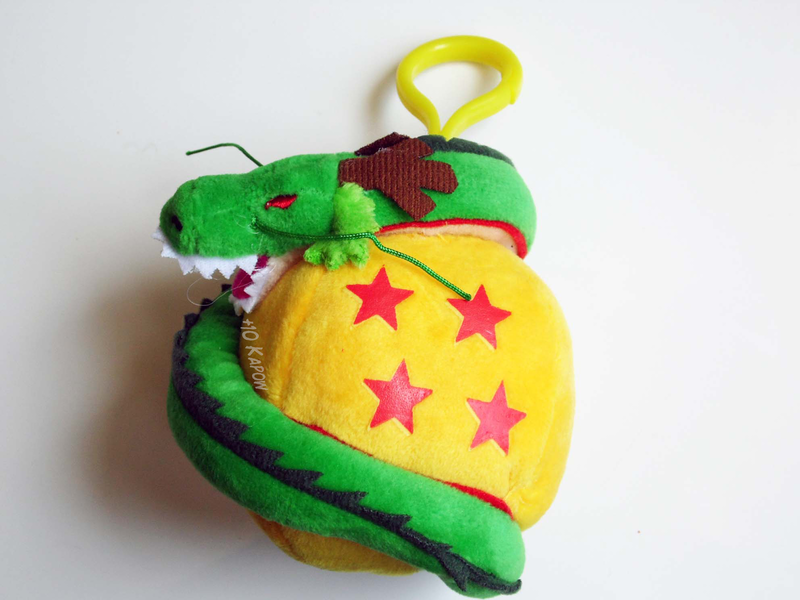 This keychain is pretty cool, it's a very good quality plush and is quite big, it would look great hanging on a bag, my only wish is that the actual keyring was metal instead of plastic because I think the plastic makes it look a little cheap/childish. This mitt was major squee worthy and I was super happy to have it, it looks really cool and it had a purpose. 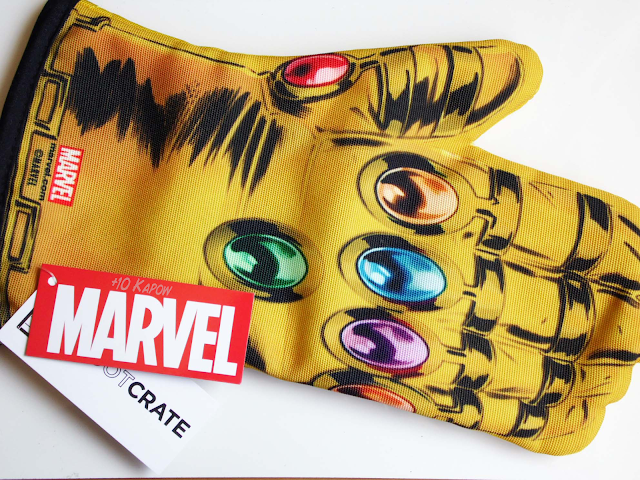 One problem has now occurred with it though, this morning Loot Crate sent out a 'product recall' email because at least one person has had their glove melt whilst in normal use and had the hand burned as a result. I'm so gutted but I'm glad we didn't get round to finding out if ours melts. 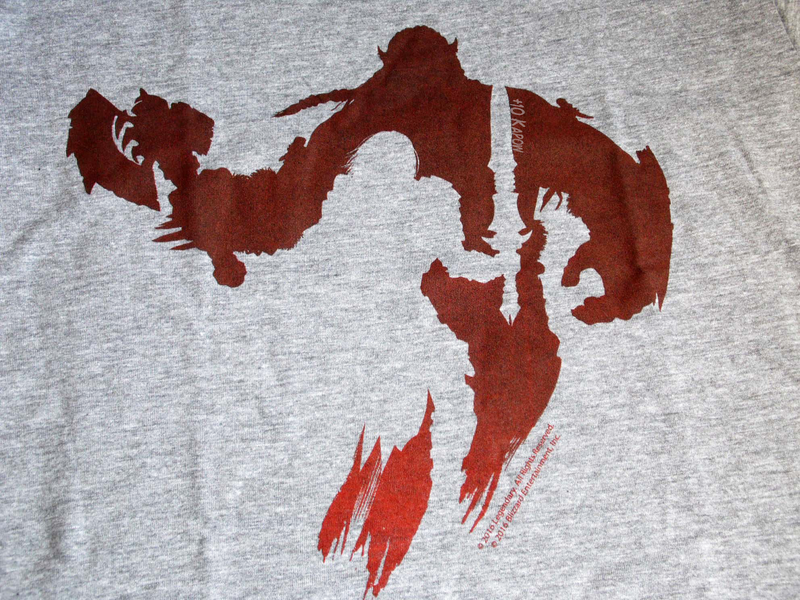 The tee is good and I'm looking forward to the movie but I agree with what I have seen a few other people say, it could have been more, it just seems a bit bland. I would have loved to have seen either a full on Horde or a full on Alliance tee. Robots are cool! 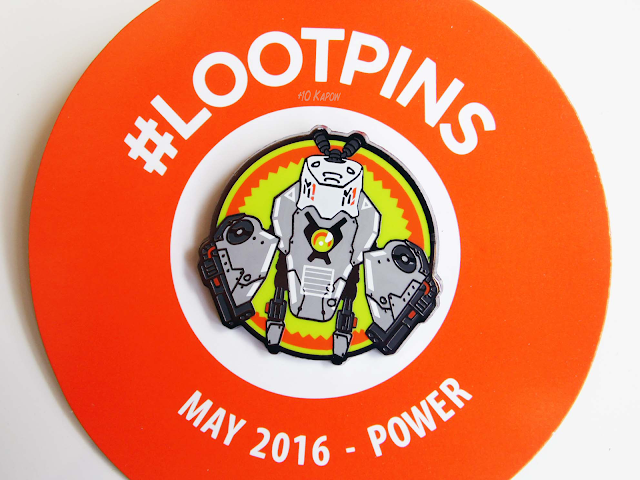 And Loot Crate pins are always awesome, always! This month's box folded out, it confused me, horribly! 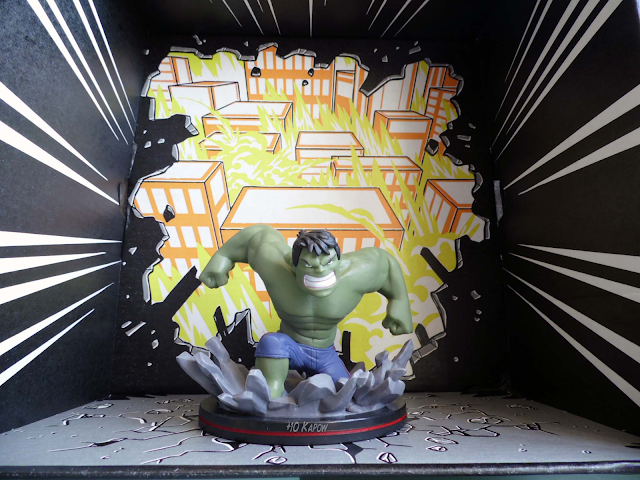 It didn't flip all the way inside out, it was weird and I have no idea if I did it right but I think it looks cool and Hulk lives here now. 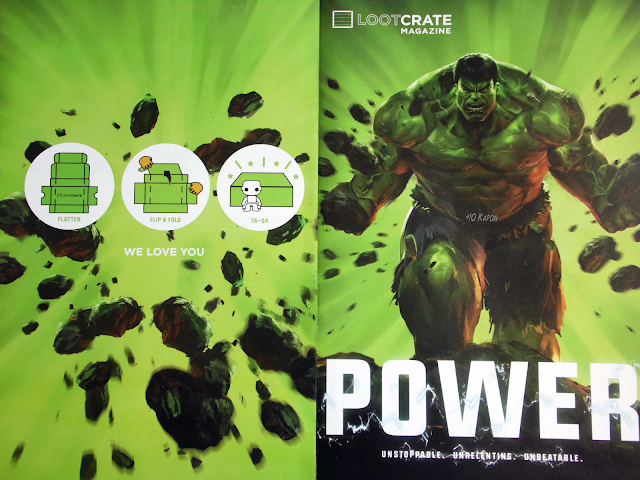 What did you think of this month's crate overall? Next month's theme is Dystopia, which is bound to have all the awesome, so if you fancy signing up click here now and get signed up soon so you don't miss out.